Kildare trainer Ross O’Sullivan will have his first ever Aintree Grand National runner today, with his wife Katie Walsh riding Baie Des Iles in the iconic race. HORSE RACING’S WALSH family are no strangers to winners at the Aintree festival. Later today, jockey Katie Walsh will be looking to become the third member of the family to have a winner in the Grand National, as she teams up with her husband, trainer Ross O’Sullivan, to ride his first ever entry in the prestigious race. She will saddle a seven-year-old mare, Baie Des Iles, in the 17.15 race today – a horse who placed fifth in the Welsh Grand National last year and sixth in the Irish Grand National the year before. Having been an outsider early in the week, the odds on Katie Walsh becoming the first female jockey to win the Grand National have shortened in recent days. She holds the distinction of being the highest-placed female jockey in the race’s history, after a third place finish on the Ted Walsh trained Seabass in 2012. Trainer Ross O’Sullivan says that the mare is a fan of soft ground, and with such a wet winter, there are a few things going in her favour later on. 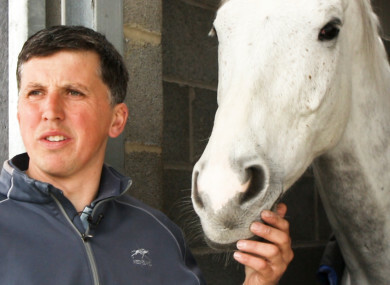 Email “O'Sullivan and Walsh: Husband and wife team chasing 'fairytale' Grand National run”. Feedback on “O'Sullivan and Walsh: Husband and wife team chasing 'fairytale' Grand National run”.